Winfrasoft will be helping more than 200 heads of security to move away from password-based protection at the Info-Crime Summit The company behind the award-winning PINgrid is sponsoring and participating in the event which takes place in London on 25th and 26th November. Winfrasoft is a FIDO Alliance member, Microsoft Certified partner in Security & Identity and embedded systems, and contributing member of OATH, so is ideally placed to provide information security professionals attending the Info-Crime Summit with the information and tools needed, in order to respond to the surge in dissatisfaction and disillusionment surrounding password-based authentication. The company will also being demonstrating its award-winning PINgrid authentication solution. 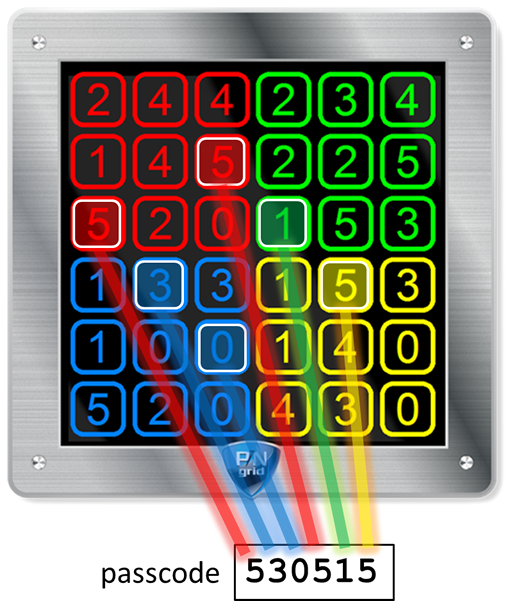 It uses a 6x6 number grid that can be presented to the user on-screen, or on their smart device via an app. The user simply creates a memorable pattern (from a possible 2.1 billion different combinations) and then each time they wish to logon to a site protected by PINgrid they use this pattern to extract a one-time code (OTC) from the numbers on the grid. Furthermore, as PINgrid is kept separate from the login screen it safeguards against keylogging, screen scrapping, fingerprint smudges and shoulder surfing.